Pre Run Briefing - Event 50. Photo by Jackie Sayce. Full results from the event can be found on the Results Page of our website. Photos by Jackie Sayce are available in our Flickr Group. - has been first to finish once previously at Grangemoor parkrun. Tom MARTIN (SM30-34) of CDF Runners, was third over the line in 18:10. - her eighth time in 33 appearances at Grangemoor parkrun. - has been first to finish on 3 previous occasions at Grangemoor parkrun. Dhana CAPLE (VW40-44) of CDF Runners, was third (31st overall) over the line in 23:43. Katie BEECHER (VW35-39) was graded 75.56% for the time 19:55 (7th overall). Robert MCCARTHY (VM50-54) was graded 75.42% for the time 19:52 (6th overall). Aaron JONES (VM40-44) was graded 74.26% for the time 18:39 (second overall). This week there were 119 runners, of whom 19 attended Grangemoor for the first time and 17 recorded new Personal Bests. Representatives of 13 different athletics clubs took part. Ferdi IANNUCCI (Unattached) 4013 pts. Dafydd Trystan DAVIES (Outdoor Fitness Running Club) 3587 pts. Martin DOYLE (Unattached) 3461 pts. Catherine BARKER (Penarth & Dinas Runners) 3433 pts. Becky GRIFFITHS (Unattached) 2742 pts. Rhian WILLIAMS (CSSC Sports & Leisure) 2306 pts. 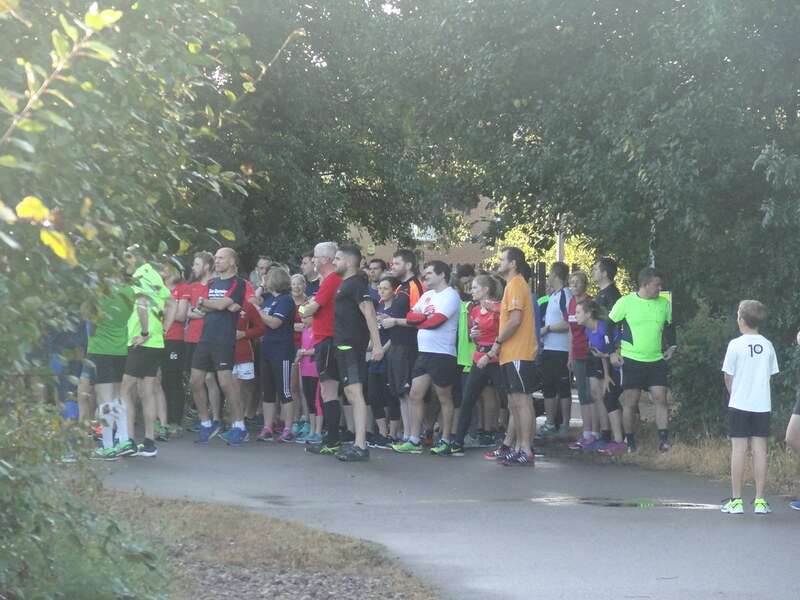 Grangemoor parkrun started on 31st October 2015, and since then 1,343 different runners, including participants from 126 athletics clubs, have completed 4,515 runs covering a total distance of 22,575 km, and there have been 1,025 new Personal Bests. The female record is held by Emily LAGOMARSINO who ran in a time of 00:18:32 on 21st May 2016 (event number 29). The male record is held by Dan NASH who ran in a time of 00:15:48 on 2015-11-28 (event number 5). The Age Grade course record is held by Alison ENGLEDEW who recorded a 83.66% run (21:56) on 6th February 2016 (event number 14). Some of this week's volunteers - THANK YOU! Photo by Jackie Sayce. This entry was posted in The Notice Board by grangemooroffice. Bookmark the permalink.